Xiaomi announced Redmi Note 3. This will be a dual SIM, 5.5 inch display Android smartphone with a 16 Mega Pixel camera, Fingerprint scanner and 4050mAh battery. Redmi Note 3 will be working on a 1.8 GHz 64 bit SnapDragon 650, cortex A72 6 cores processor and Adreno 510 graphics processor. The phone will have a 16GB and 32GB variants where the 16GB version will have 2GB of RAM and 32GB will come with 3GB of RAM. both the 16GB and 32GB will be having dual channel RAM and eMMC 5.0 Flash. Note 3 will have a big 4050mAH non removable battery and Metal body still the company claims that the device will be 21grams lighter than the previous Redmi Note Prime. Phone will support Dual SIM (Micro+Nano) and if you want to increase the storage space with Micro SD card you can do that but you will have to use one SIM slot for that, that is when you use Micro SD card the device can use only one SIM. Both the SIM slots will support 4G LTE. Display will be a 5.5 inch, 1080p, 1920x1080 HD IPS display with 401 ppi. The 16Megapixel primary camera comes with two tone flash and the secondary camera will be a 5MP one. 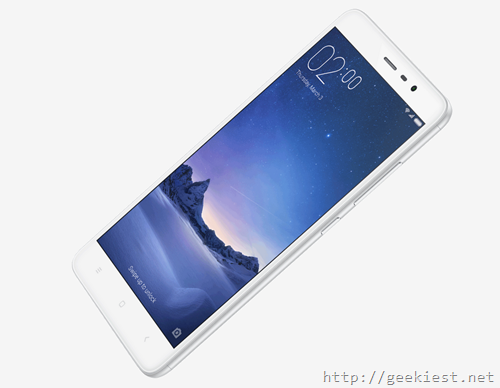 The device will be running on Android 5.1 with MIUI 7. Colors available will be Silver, Gold and dark grey. 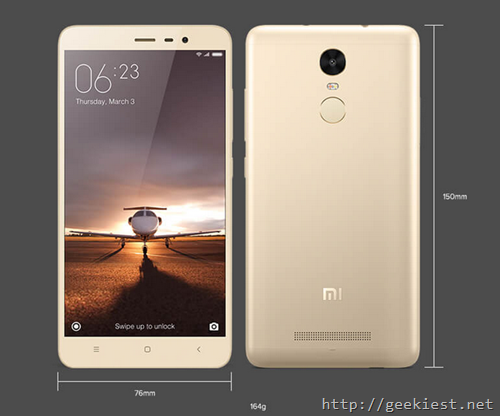 Redmi Note 3 specifications, Price and availability and register for the first sale.